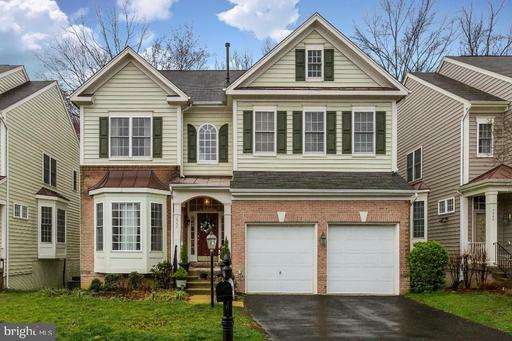 Enjoy this open concept home located in the private enclave at the Grove of Huntley Meadows. Enter the 2-Story foyer with new Ceramic Tile. Head up to the Main Level admire the gleaming clear stained oak floors. The Living Room/Dining Area is flooded with natural light from the 3 large front windows clad in Plantation Shutters. Move into the updated Kitchen with Island oak cabinets topped in Granite. New appliances, a Gas stove plenty of storage/work space will please the home cook. There is a cozy Keeping Room table space. A Slider leads out to the extended deck overlooking wooded parkland. The Upper Level boasts the Master Suite with WI Closet Ensuite Bath that has a dual sink vanity. Two add~l BR~s share a second full Bath. Fully finished Lower Level has great Family Room with adjacent Full Bath, Storage closets access to backyard. 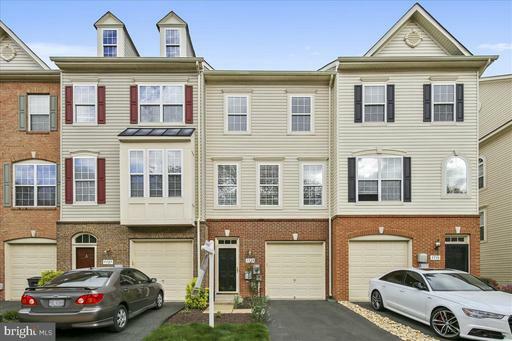 Enjoy easy access to commuter routes for DC, Maryland Northern Virginia. Close to shopping, historic sites Old Town Alexandria for dining Potomac River Activities.